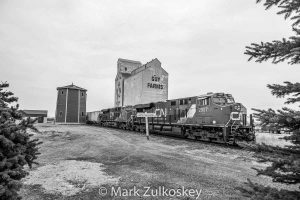 Guy Farms grain elevator in Kenaston, SK. Contributed by Mark Zulkoskey. 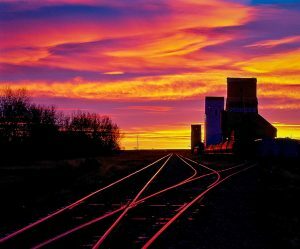 Mark Zulkoskey has been photographing grain elevators in Saskatchewan for 10 years, and has photographed all but nine of them. Thank you, Mark, for contributing some of your work to this site! You can see some of them as links from his contributor page. 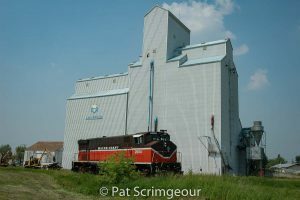 Locomotive at grain elevator in Arborfield, SK, June 2006. Contributed by Pat Scrimgeour. 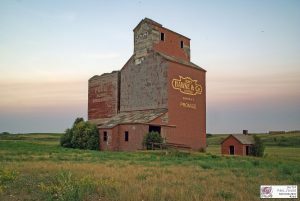 Pat Scrimgeour has contributed many grain elevators to Grain Elevators of Canada. These date from his trips to the prairie provinces in the mid-2000s and cover towns from Antler to Zenon Park. 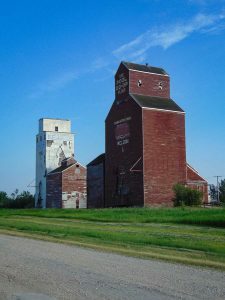 Grain elevators in Weldon, SK. Copyright by BW Bandy. BW Bandy travels the back roads in Alberta and beyond, looking for interesting buildings and signs to photograph and share. His blog Everybody Has To Be Somewhere is well worth reading, both for the photographs but also for his wry sense of humour. 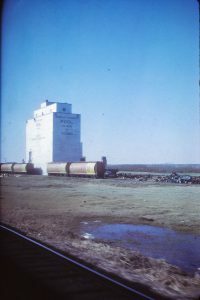 Young, SK grain elevator, 1972. Contributed by Eric May. 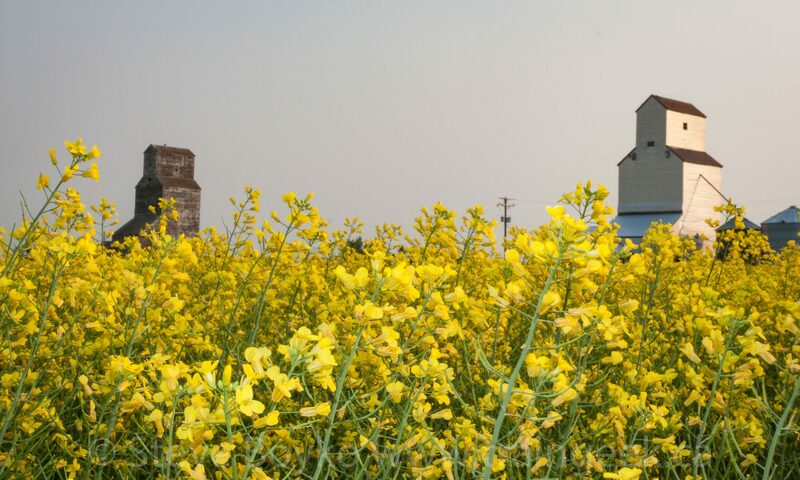 Welcome to Eric May, another contributor to Grain Elevators of Canada. Eric has contributed some photos taken in 1972 during a cross-country trip on the CN Super Continental passenger train. These photos provide a nice “time capsule” look at some elevators that either have changed significantly or disappeared entirely. 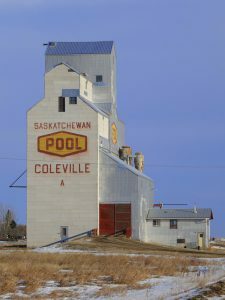 Coleville, SK grain elevator, Dec 2017. Copyright by Michael Truman. 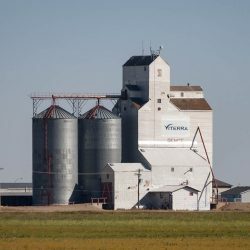 I want to welcome Michael Truman to the growing cast of grain elevator enthusiasts who have contributed to this site.